Berlin is a liberating city. There is a vibe of being young, free and creative. Here and there, half torn-down buildings and ill-lit alleys look kind of rough, but in a nice way. Yeah, that does not sound right, but it feels right. I am not saying that I really know the city. I was there only for an extended weekend. I didn’t even visit main attractions, or the outer west and north side of the city. I am sure there are places in Berlin that you should not wander about when you are alone at night. It is just like any other big cities. However, much a novice as I am, I found it hard to not love Berlin. We tried a lot of beer in Berlin. From crafted bottles in a festival to the typical German one mentioned in The Life of Others. Somehow out of the so many types we’ve tried, none is bad and most are excellent. May the odds be always in our favour! Prices are lower than of the similar ones you get in Amsterdam, which is a good start (with a potentially bad ending). Along bridges over some underground stations. 20 metres off the ground by the window of a fifth-floor apartment. On the street. 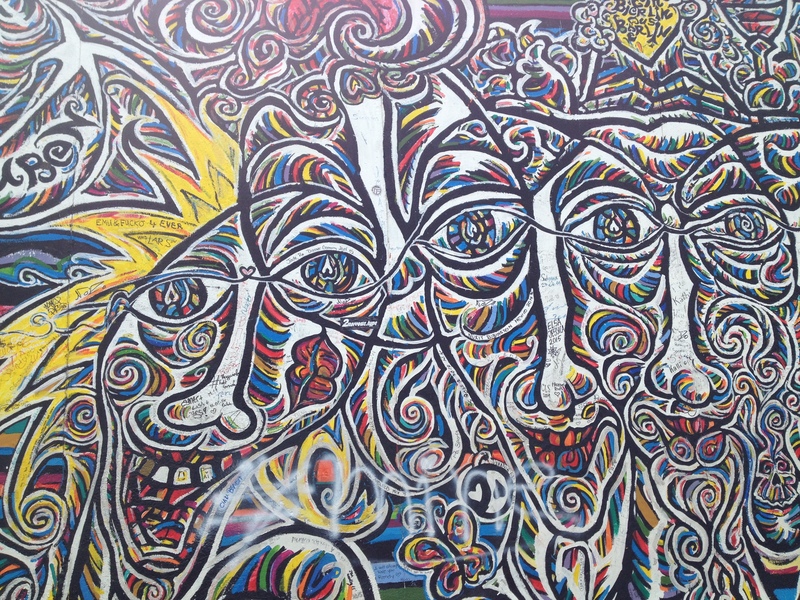 And most famously: East Side Gallery. It is the longest part of the Berlin wall that is still standing and reminding us of all the extreme. After the fall of the Wall, that standing stretch was painted by various artists for ten years, if I remember it right. You can find all styles of graffiti there. Some are abstract. Others are scarily real. Sadly, there is also work of vandalism. I never understand the ignorance and the vanity of ones who scribble their names on other people’s work. 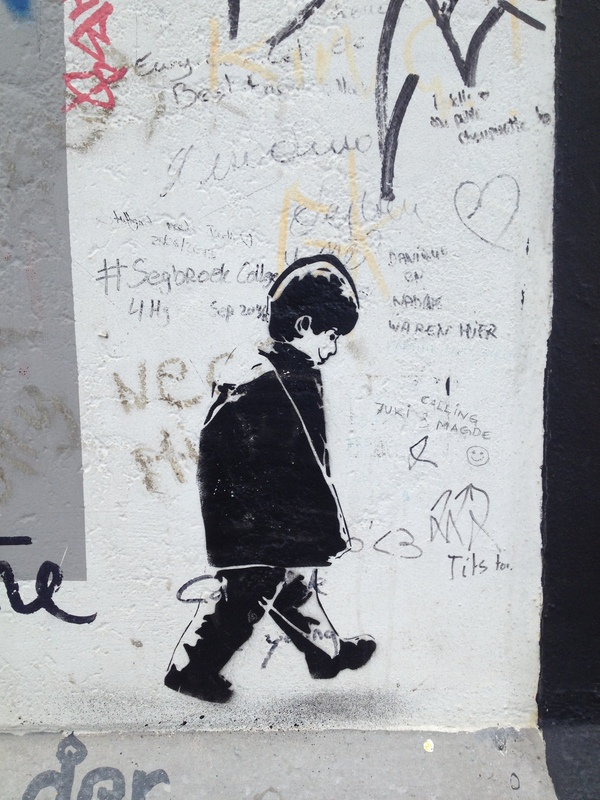 All in all, I found the abundance of graffiti in every corner of Berlin thought-provoking. I don’t love all of them. But I can almost feel the freedom of the street artists. It must be really liberating.